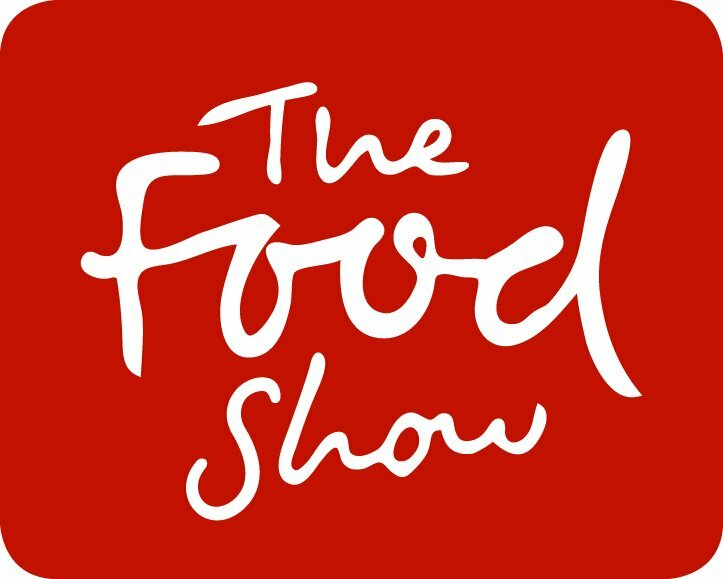 I was lucky enough to attend of the preview day of the 2015 Auckland Food Show last week. It was my first time attending and I was hugely impressed by what I saw. 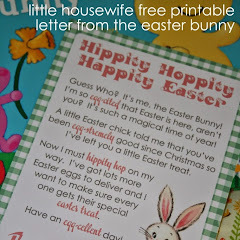 There are so very clever kiwis passionately creating amazing products! My gorgeous friend Laura and I spent four hours scouring the pavilion and we didn't even scratch the surface of the amazingness on offer! I could easily have spent another four hours doing it all over again! I was puzzled to see so many people entering The Food Show with suitcases on wheels and trundle bags but now I totally get it. There are so many fascinating products to buy inside (at special Food Show prices) that you simply can't carry them all. I'll definitely be taking a trundler with me next year! I wanted to share with you some of the stand out brands and products that I discovered on my visit. The most memorable, stand out brand for me was the West Coast Cocoa Merchants. They make hands down the most sensational hot chocolate I have ever ever ever tasted! 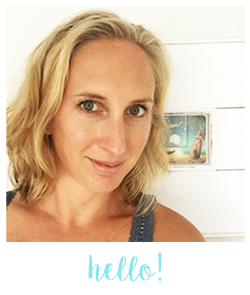 They drew me in with their white wooden panelled stand (I'm all about white wooden panelling!) but their product was even more outstanding than I could possibly have imagined. The ladies were flat out the whole time brewing samples of their beautiful hot chocolate to meet the demand! They were the talk of the show. It really is THAT good! Smooth, rich and sweet in all the right quantities and made from the finest sustainable West African Dutched cocoa on the West Coast of New Zealand. I sampled (and purchased) their deluxe hot chocolate which absolutely beautiful. I also sampled their peppermint hot chocolate which was stunning and I'm kicking myself I didn't buy that one too! (Online ordering here I come!). They also make dark deluxe, caramel, mayan chilli, vanilla chai, and spiced chai. You wont regret acquainting yourself with this brand. It's absolutely STUNNING! Laura and I were also unanimous on another stand out product - Bangeritos! Everything you love about a burrito in a sausage! I love Mexican food and these were SO good! Samples were served as small round cut outs of tortilla with a slice of Bangerito with a dollop of guacamole and sour cream. They were sensational! The perfect summer entrée. 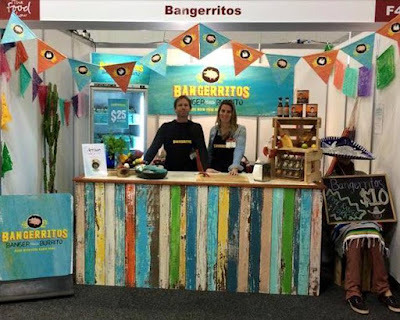 Or to serve as a meal, serve a whole or sliced up Bangerito in to a tortilla (just like you would a sausage in bread) and top up with lettuce, diced tomatoes, Mexican rice, guacamole and sour cream. Absolutely delicious! Here are the ones I made for dinner last night with barbecue capsicum, red onion and mushroom with fresh home grown coriander and lime. So good! Bangeritos are made with free range pork and packed full of black beans, red cabbage, red onion, coriander, garlic, Mexican spices and orange juice - these a truly delicious! Good Kitchen were one of the last stands we came across. 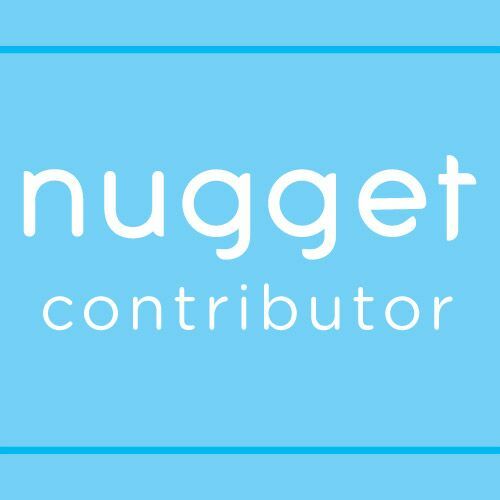 They offer gluten free, dairy free, refined sugar free, paleo, vegan and raw baking options. You may wonder what's left after you take all of that out but oh! my! gosh! their cakes are AMAZING! From what I gather Jules and Dani (who are so so gorgeous!) have only been in business two or three months and yet they have things so together. I sampled their banana chia cake with a caramel sauce icing and it was absolutely incredible. I've tasted some gulten free baking in the past which is often heavy or odd in texture but these cakes are amazing in every sense, and least of all lacking in texture or flavour. Their banana chia cake was so light yet moist and so full of flavour﻿. Absolutely beautiful beautiful baking ladies! Now I loved this next brand but it was my Scottish friend who let me know just HOW good this product is. 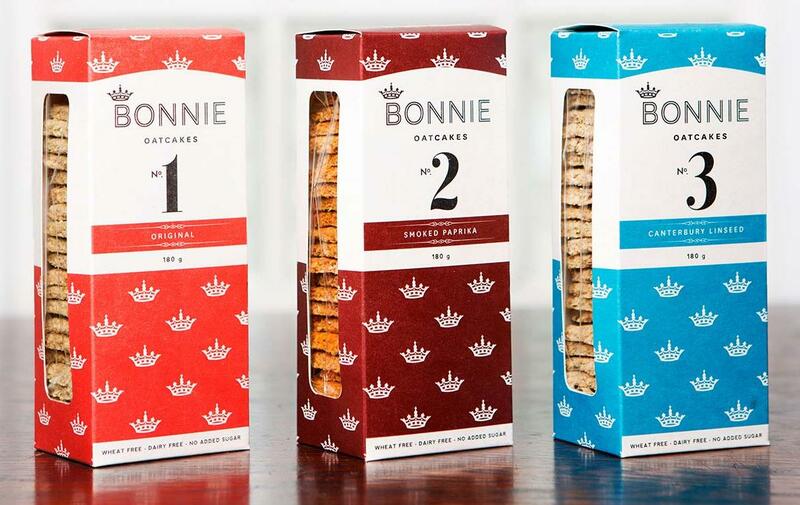 Bonnie Goods makes the most beautiful savoury oatcakes. Oatcakes are a Scottish institution. My friend Laura who is Scottish, but has actually lived in New Zealand for the last 12 years, took just one sample of the Bonnie Goods oatcakes and she declared them the best she's ever tried. How about that! A best ever recommendation from a real Scottish lassie! I have to agree that I thought they were beautiful too served with a small slice of premium camembert and fresh sea salt. 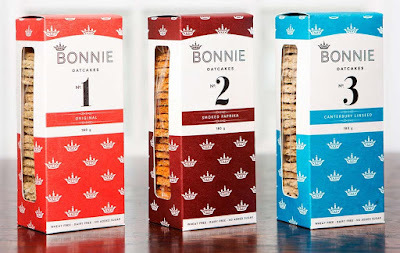 Bonnie Goods are wheat free, dairy free, contain no added sugar and are available in original, smoked paprika and Canterbury linseed. The packaging is really beautiful too and was what caught my eye across the busy aisle. 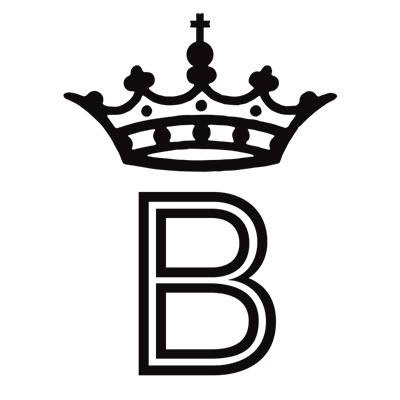 This is a really beautiful brand. I was already familiar with the Ghiotti range. 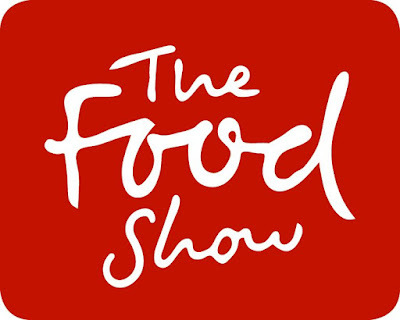 I was already big fan of their Salame Finocchiona (fennel salami) before The Food Show but it was great to try out some of their other stunning ranges. All of their salami, chorizo, pancetta and prosciutto are traditionally hand crafted in Italy and then sent whole to New Zealand for slicing to ensure maximum freshness and flavour. Their meats are stunning and full of intense flavour! Behind the Ghiotti stand was an enormous, state of the art pizza oven with the most intense pizza judging going on that I have ever seen! You could feel the pressure that the pizza chef was under as he was watched over by three Italian judges who were in turn watched over by passionate family and friends. I couldn't take my eyes away from the whole proceedings.﻿ It reinforced to me the passion Ghiotti have for their brand and fine food. 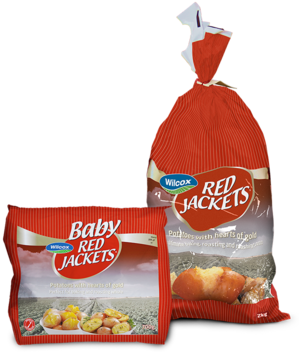 Another brand who I already use and was really happy to see was Wilcox with their Red Jacket Potatoes. Potatoes are sometimes portrayed as an "evil carb" and get a bit of a bad rap but I don't care what anyone says about potatoes - they are delicious and are part of our meal repertoire. The Wilcox Red Jacket Potatoes are a bit deceiving as other red potatoes I've tried tend to be waxy and best suited to boiling. However, these ones tend to be more like agria. They are lovely and yellow inside and roast up beautifully. I usually par boil my agria before roasting however a wee splash of olive or avacdo oil and some fresh ground Himalayan pink salt (and I like to add a sprinkling of rosemary too) and these red jacket potatoes roast up stunningly both whole or cut in to wedges. I was really happy to come across the Tom and Luke stand. I hadn't actually heard of their brand before. While I will never stop baking, I am interested in living a healthy lifestyle and making good food choices and their motto "nourishment for healthy lifestyles" had me hook, line and sinker. 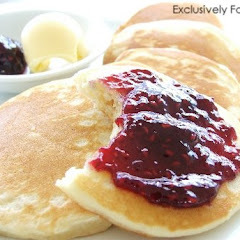 I'm always on the look out for sweet treat alternatives to help curb any sugary cravings. I tried Tom and Lukes Chocolate Trinity Bites and knew I was on to a winner. Just one of the Tom & Luke Trinity Chocolate Sunflower Protein Bites would see me right during those times when I'd otherwise be reaching for an unhealthier option. The mint flavour was really good too. The Trinity Bites are packed full of so much goodness - organic cacao, organic coconut nectar and Whittakers 72% dark Ghana chocolate - so you're getting your sweet treat but with protein, fibre and good fats, removing the guilt from your indulgence. I meant to come back and buy some of these before I left but forgot so here comes another online order! 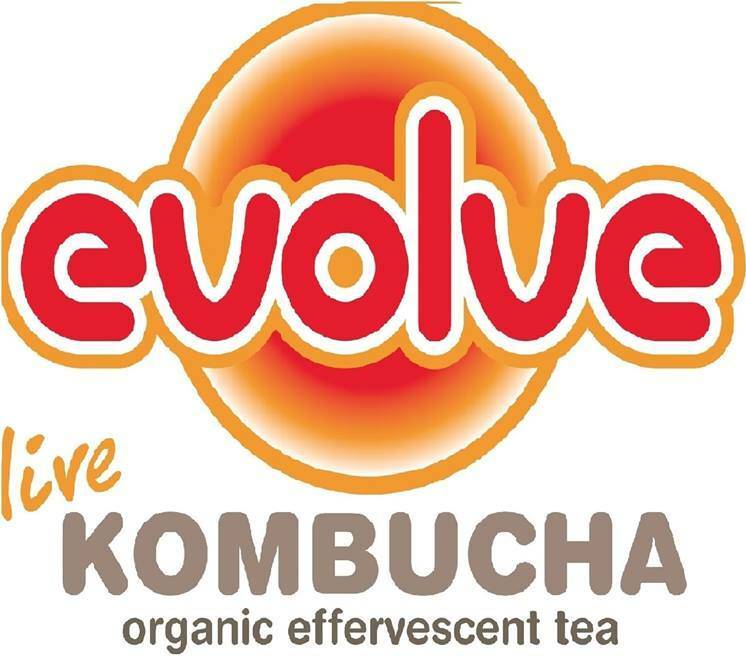 Evolve believes that healthy should taste great so they have reinvented the brewing process of this ancient Chinese drink so that their kombucha not only contains a dense probiotic and organic acid content but also tastes delicious too. 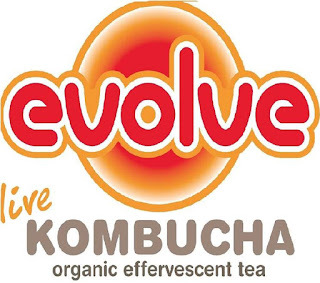 This was actually my first taste even of Kombucha and it was indeed delicious! 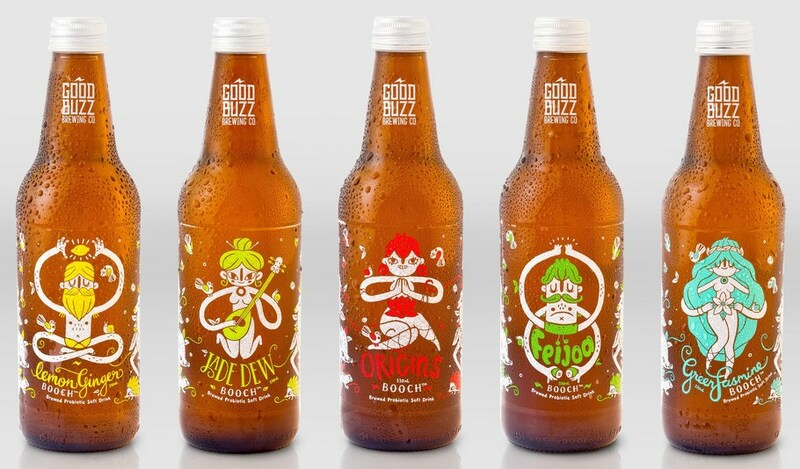 Good Buzz Brewing Co have also created a range of carbonated kombucha in a variety of flavours including green jasmine, jade dew, lemon ginger and feijoa - my favourite! These bottles are ready for consumption no matter the occasion. 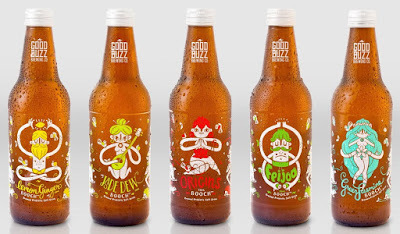 I just love the bottle artwork too which really caught my eye. Another brand which we already use at home, but I wasn't aware of the extent of their range, is Olivado Avocado Oil. I already love using their extra virgin avocado oil but I sampled their avocado balsamtic dressing and thought it was amazing. 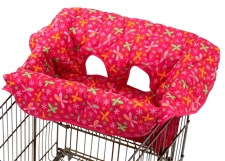 Another item I forgot to go back and purchase! That's another lesson learnt for next year, buy it when you see it or else you'll forget! I thought it was stunning as a dipping oil for the big fat chunks of white bread they had at their stand. But it would really transform an ordinary salad or drizzled over fresh vine ripened tomatoes in summer would be sensational. It was so full of flavour - and it's all about flavour at the end of the day! Another brand I'm already a fan of, Little Island makes the most insane chocolate milk! Dare I say it rivals Whittakers??? It really is beautiful! Little Island also stock a range of ice creams and they will be releasing a new range of flavours in store from September including mint chocolate chip (which I sampled and was amazing! - where has all the mint ice cream gone from the supermarkets? ), toasted coconut caramel, chocolate raspberry swirl and cookie crumble. These are ones to keep your eyes out for! Some other coconut brands and products have a very definite underlying, sometimes overpowering coconut taste but not Little Island. Love this brand! I came across a really interesting new bakery called The Pie Piper run by a group of gorgeous young Americans. Now, if there is one thing Americans know how to do, it's make pie! Of course, my vintage loving self fell instantly in love with this 1940's/1950's inspired bakery. Red and white check tablecloths, knotted headbands, beautiful makeup and amazing handmade American dessert pies to boot! I bought a key lime, smores and salted caramel apple pie for my Mum to say thank you for minding Maisie while I was visiting The Food Show. The Pie Piper are also part of the amazing Street Food Collective. 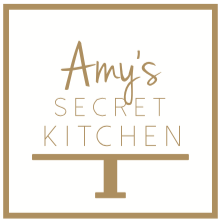 I have heard SO much about Amy's Secret Kitchen but have never actually ventured from the North Shore to seek out this amazing brand. 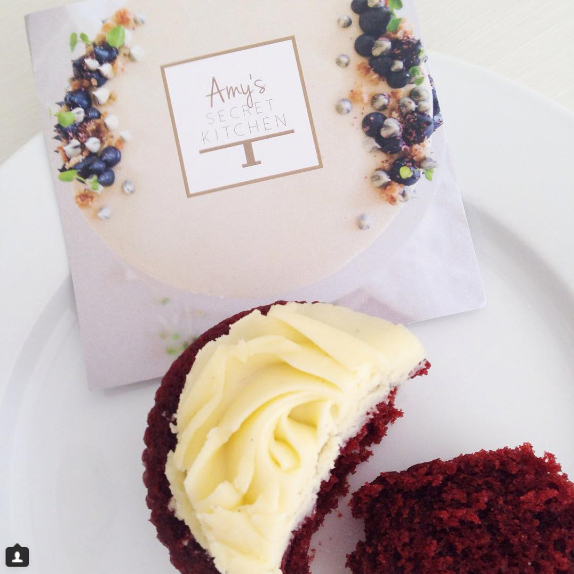 I was very spoilt and sent one of their red velvet cupcakes the week before The Food Show and it was absolutely beautiful! It had a lightness that cupcakes can only dream of. So I actually think I jumped and squealed (true!) when I came across their stand! Their baked treats are natural works of art! Head on over to their website and check them out. And to add to the whole experience, they were just the sweetest people ever!!! 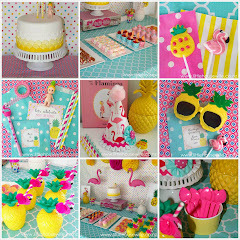 Finally, but certainly not least, - there was a gorgeous stand of partyware from Pixie Party Supplies who I've purchased from for my girls birthdays. She had some absolutely beautiful new ranges which I'd never seen before which Jenny has actually developed herself, as well as some of the beautiful ranges from one of my favourite party brands, Meri Meri. I'm just loving the pale aqua scalloped lace and the pastel prisim designs on the top shelf! And how about that pastel confetti range! I still love anything with watermelons and I totally could have used this watermelon range at Maisie's Fruity Flamingo party back in January! And this neon citrus range makes me want to organise a pink lemonade party ASAP! All of these beautiful ranges plus a whole heap more are available to purchase online at Pixie Party Supplies.